A psychedelic collage of fractal mushrooms cover this tapestry wallhanging. 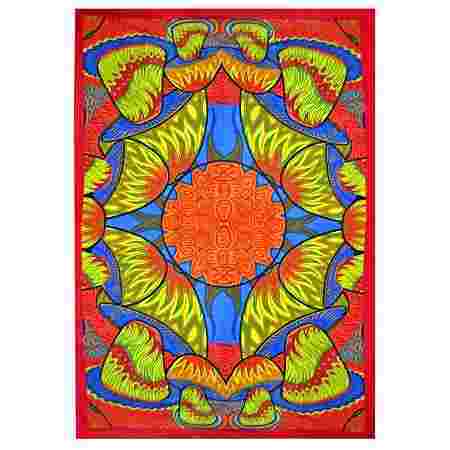 Put this up in your dorm, and you'll trip for hours! Measures approximately 58" x 82"